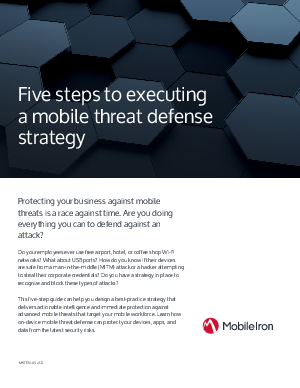 • A single app of threat protection is fully integrated with EMM. • No user action is required to activate or update on-device security. • Advanced mobile security blocks known and zero-day threats across iOS and Android devices with no Internet connectivity required. • Machine-learning algorithms instantly detect and remediate on-device DNA threats.